Bathroom renovation Sydney can greatly improve the look of your bathroom, transforming it into a space that would inspire relaxation and outline your style and personality. Does your bathroom suffer from mold issues or there are signs of water damage? Or you don’t like the feel, look, and style of your bathroom? Or your bathroom is over clogged and you could use more storage space, or replace some bathroom elements with new different ones that would take less space or fit better in the space you have. You moved to a new place or just think your bathroom looks outdated? Whichever might be the reason, you need a bathroom renovation. Don’t postpone transforming your bathroom into a practical and enjoyable space because of the high expenses that you think will come with it. 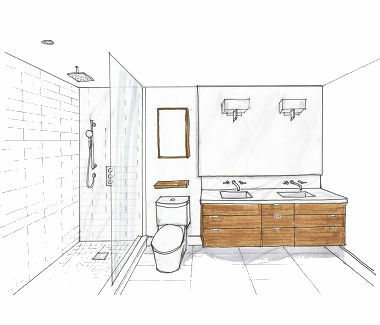 A bathroom renovation is a great investment and it can involve fewer expenses than you might expect. If you contact a professional business, they can give you ideas and designs of a bathroom renovation that can involve minimal but with great effect changes or a complete transformation of your bathroom, all depending on your budget. If you are looking for Sydney bathroom renovation services, make sure you pick a trusted and experienced business, to get top quality work that would not only make your renovation look beautiful but it will also be safe and insured. Wondrous Kitchen & Bathroom has years of experience in bathroom renovation Sydney and remodeling and can help you transform your bathroom into a stylish place that you can enjoy for years to come. Our team will work closely with you to understand what you want and what you need, to better be able to provide you with options that would best suit you. We provide complete bathroom renovation services in Sydney, including tile removal, installation and fixture replacement, any bathroom fixtures installation, all plumbing, electrical and painting services, and any demolition, construction, repairs and maintenance services. Because of its hardworking, multipurpose potential, a laundry renovation is a worthwhile investment. Wondrous Kitchen and Bathroom has the experience in smart laundry designs with layouts that save you time and effort. Our prices are well positioned and very competitive in laundry design in Sydney. Contact Wondrous Kitchen & Bathroom at 0416 565 455 or 1800 779 603 if you want to get a professional and affordable solution to your bathroom or laundry. With us, you will not have to hire any extra experts to finish any additional jobs that we could not include because we can do it all.